Termin – 31 sierpień 2018. Więcej informacji w liście Dr.Lim, Cheong San, President of SICACO 2018 poniżej i w regulaminie. 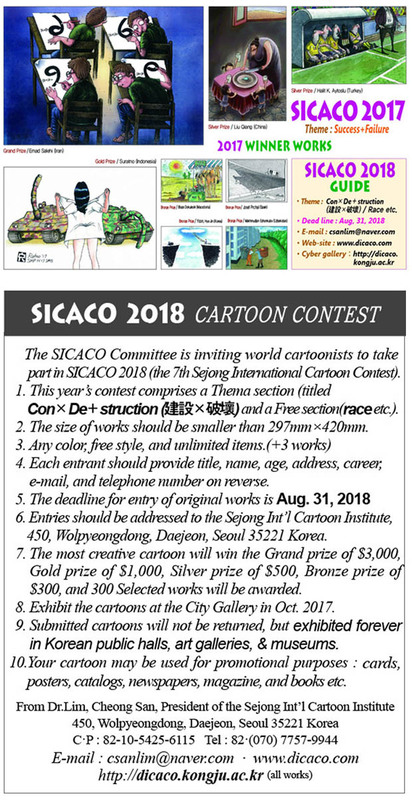 Welcome to you in SICACO 2018! This year theme means (Construction + Destruction). This time free section’s football, game, race etc. The deadline is August 31st. You’d better send me your original works by mail. You can send me your printed digital cartoons by mail. I’ll wait for your best cartoons. 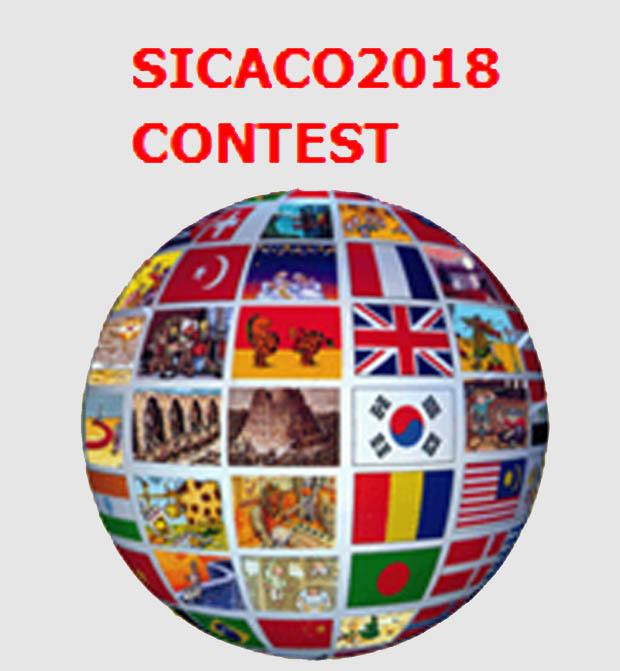 See you in SICACO 2018!